Students in some Michigan school districts are more than three times more likely to be identified as in need of special education services than students in other districts. In Michigan, the likelihood of your child being identified as needing special education services can vary dramatically based on your child’s gender, race, family income and home town. And experts say some children in special education could have avoided the designation had they received more educational support in early grades. Those are some of the conclusions of a Bridge Magazine analysis based on special education data compiled by the state and interviews with state education leaders, many of whom say that Michigan’s special education rolls could be trimmed dramatically through teaching efforts focused on struggling pre-K and elementary students. The findings raise concerns that Michigan, struggling to improve high school graduation and college attainment, may not be doing enough to help struggling students in early grades from slipping into special education, where educational outcomes are lower. The data also suggest that school districts are reaching vastly different conclusions about which students meet special ed criteria. How many children are in special education in your district? See the Bridge special education database. 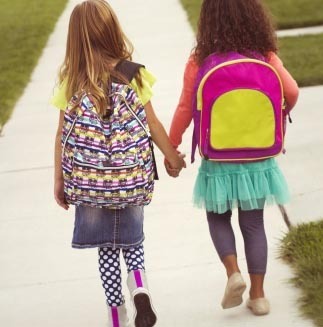 Federal law guarantees that children with disabilities have equal access to education. A Bridge Magazine and Michigan Radio investigation found that even with those laws, there are disparities in who receives special education services, the level of those services, and the efforts that schools put forth to support struggling students before they fall into special education. Students in some school districts are more than three times more likely to be identified as in need of special education services than students in other districts. Boys are twice as likely as girls to be classified as special education across the state, with gender disparities in almost every community in Michigan. More than one in seven low-income students are in special education, compared with one in 11 students who are not poor. African-American students are over-represented in special education, with 14 percent receiving special education services, compared with 11.9 percent of white students, 11.7 percent of Hispanic students and 5.2 percent of Asian students. Once in the special education system, the services available to students vary greatly among districts. The percentage of students in special education matters because the educational outcomes of those in special ed are significantly lower than their peers. About 77 percent of all Michigan students graduate from high school, compared with 53 percent of those identified as in need of special education services. That disparity is disturbing, said Teri Johnson Chapman, director of the Office of Special Education in the Michigan Department of Education, because about 80 percent of children in special education have no cognitive disability. The implications are personal to thousands of families, and far-reaching for the state as a whole. That lower trajectory also has implications for their career earning power and the Michigan economy. High school dropouts face higher rates of unemployment and lower pay than high school graduates. The key to lessening special education disparities, as well as lowering the overall number of students in special education, may rest in general education classrooms, before children are labeled as special ed, Chapman said. Across the state, 12 percent of students are identified as needing special education services by having an individualized education program (or IEP) created for them. There are 13 classifications of IEPs, such as for children with autism, hearing and speech impairment, and individual learning disabilities. The disparity among districts can be jarring. For example, in Walkerville Public Schools, in West Michigan near Manistee National Forest, 22 percent of students are identified as special education. In Pewamo-Westphalia in Clinton County, it’s 3.3 percent. At Whitmore Lake Public School District just north of Ann Arbor, 21 percent of students are special education; in the Dearborn City School District, 8.7 percent. While the percentage of students with IEPs for special education varies among districts, one thing remains constant: boys outnumber girls. Across the state, 15.5 percent of boys have an IEP, compared with 8.4 percent of girls. In Grand Rapids Public Schools, 32 percent of boys are in special education and 17 percent of girls. In neighboring East Grand Rapids, where there are far fewer kids in special education, boys are still twice as likely to have an IEP (8 percent of boys, versus 4 percent of girls). Similar gender disparities exist across the country. Some biological factors play a role, such as autism, which appears to occur more often in boys than girls, said Bentley, of the Livingston ISD. Some districts are finding ways to decrease the number of students with IEPs. Armada Area Schools in northern Macomb County has 9.3 percent of its students in special ed, significantly below the state average. Kids who are struggling academically in early grades in the small, rural district get all the same lessons as their peers, plus extra lessons from paraprofessionals – many of whom have teaching licenses – while classmates are in choir or gym. “Those electives are important, but not as important as catching up in reading,” Jankowski said. The result: fewer students falling so far behind that they are referred to special education. Early intervention doesn’t just help keep kids out of special education; it’s just as effective moving below-average readers to the honor roll in high school, said Bentley. “In a lot of our school systems, there’s not another answer - there’s general ed and special ed down the hall,” Bentley said. “In our strong systems, there are a whole lot of supports” to keep kids from falling into special education. That extra support is the strategy behind Michigan’s Integrated Behavior and Learning Support Initiative. The program, which is both state and federally funded, encourages increased support for struggling students in early grades without the students being pulled out of the classroom. All students get the same lessons, but some students get extra time on topic. “If we do really good quality instruction and all students have access to that, that would lower the likelihood of the number of students referred to special ed,” said Steven Goodman, director of the program for the state. From 2009-10 to 2010-11, the special education referral rate for 43 Michigan schools involved in this program decreased 25 percent, and the percentage of students determined to be eligible decreased 6 percent. Middle school reading proficiency increased from 22 percent in 2008 to 51 percent last year in those schools. During that same time period, the percentage of middle school students struggling enough to need intensive reading support dropped from 29 percent to 18 percent. “It’s not about extra staff,” Goodman said. “It’s about prevention and intervention early. That program, now in 23 intermediate school districts and 28 local school districts, costs about $4.7 million annually (with $3.3 million coming from the state). The Department of Education hopes to implement a similar program statewide, without an increase in state funding. “It’s not additional resources, it’s leveraging resources to improve reading outcomes,” Chapman said. Creating that system statewide will provide a consistency in special education identification and services that is lacking today. “We can’t create consistency when we leave districts to figure it out on their own,” Chapman said. “When that’s done well with all kids, schools are much better at identifying who really needs special services, instead of children who have fallen behind. Today, the district has cut the percentage of students identified with an IEP in half – from 16 percent to 8 percent. Questions about special education in Michigan? Call the Office of Special Education Information Desk at 1-888-320-8384. I am a parent...here's the problem...the kids who are struggling, for the most part, do not or will not receive any additional help unless they have an IEP or 504 plan. Ask any parent who has gone through this and you'll find their stories to be similar. There is no other way to get extra services or individual help in the public school system with any type of consistency and at the level of expertise required. Even with an IEP these things can be sketchy. Federal law states that children should be in the most inclusive setting possible in the early childhood years - yet almost all of our districts segregate ECDD students even as the research shows that an inclusive classroom can reduce the need for special education in K-12 by as much as 90%! So - our schools are being allowed to break the law at the long term expense of students with additional needs at an early age, that also happen to be overwhelmingly from low income families. Some districts will say "it's too hard". Well, in Minnesota, EVERY school does it with the same federal funding so we can do it Michigan too if we want to. Thank you for pointing this out John. It's not that they are in special education that is the problem- it's that the "special" education is not very special. Special education is a service, not a place. Close these segregated schools! Thank you for presenting these articles on special education. There are some additional factors that have a huge influence on these services and the students who need them. In terms of the children, boys in general have more difficulties in childhood with behavior, learning, and mental health problems, and then the gender ratios switch with adult females having more mental health challenges than men. These differences do not reflect biases against boys as much as they reflect developmental differences. Poverty is the single greatest risk for problems that result in needing special education services, as impoverished children are more likely to be exposed to environmental toxins such as lead, be badly nourished, have fewer community resources, and live where the state provides fewer services to their school districts. Another part of the differences across districts has been the loss of school funding, which has reduced the number of staff available to offer students extra help: fewer school psychologists, social workers, counselors, etc. So fewer children can be evaluated when they are young and problems are easier to work on but often harder to see. I agree with you Rita. I am a retired School Social Worker from Detroit Public Schools. The lack of community resources truly stresses families. When parents cannot get to the schools for conferences and volunteering because they work irregular schedules at locations that require bus rides of 1-3 hours in duration (location is under 10 miles away), it makes having pride in your academic accomplishments or desire to do well that much more difficult. We, as a society could do so much more for our families in poverty. Things that we should do anyway - like improving child care, increasing and improving mass transit, etc... all of those things would help our families work together for success. I was astounded at the lack of vocabulary for students in Detroit - at least 50,000 fewer words than children in suburbs and in areas where intact families were more common. 50,000! that's a lot of words! And then there was the absenteeism - for a whole bunch of reasons. Poverty and few community resources - issues which will almost certainly will not be addressed by this newest education committee or council - whatever the Governor has in mind. Can't speak to all the points in this article, but think that being identified as needing special ed. services does not necessarily doom a child to a life of limited academic achievement. Our daughter was identified with a learning disability in first grade. She had a 504 plan and received services through high school. She earned bachelors and masters degrees in college and is now a special education teacher herself. The traditional special education program served her well. Reflect on what is being stated in the article (kudos for publishing! ), the focus being the child with a problem. Reverse that, how about the system is the problem, specifically the one size fits all structure to efficiently produce a compliant human being that has been exposed to a specific content in a rigid, calendar driven order. Now ask yourself: "Does that vision of "education" really reflect the reality of life?" Special education may just be a way to force fit a child into a dysfunctional system. See: Ken Robinson, ted.com "How Schools Are Killing Creativity", Ellen Langer "Mindful Learning" and any of the Ted Sizer "Horace's . . . " series of books. Both this article and the Michigan Radio report based on it have confused the causes and effects of low academic achievement by special education students. In many cases, school districts refuse to certify students who are making average or higher grades as eligible for special education services, no matter how overwhelming the evidence that they have much higher ability to learn than they are able to display without tutoring or supports for their deficits. What this means is that, by definition, low academic achievement in at least one area is a requirement for a student to receive a special education designation, not the result of receiving this label as is implied in your story. Next, parents who've negotiated the eligibility minefield will often find that most school staff, including the special education teachers and school social workers, have no clue of how to remediate student weaknesses in social skills, emotional regulation, executive function, handwriting, writing-as-communication, or mathematics. For students with these types of disabilities, being identified as needing special education services or supports does not lead to effective interventions because school staff, while willing and well-meaning, simply do not know how to intervene effectively. Most schools do have access to reading specialists of some sort. Because reading is so fundamental to how most subjects are taught K-121, intensive reading instruction with multi-sensory methods will often improve students' achievement in other academic areas. So more or more effective reading instruction often helps, but it is also not enough to let special education students succeed in school. So well stated. My daughter's social and sensory challenges have not yet resulted in academic failure, just ostracism and disengagement from school and learning. Since she's taking a while to fall behind, she does not yet qualify for an IEP, and therefore, does not qualify for special services. Our school was quick to offer reduced expectations for her performance in lieu of actual service. And as I have gone down this rabbit hole I have come to feel that they haven't anything of merit to offer for children who learn differently. We are in the same boat. My 4th grade daughter has been diagnosed with bipolar since 1st grade, and is NOW at a 1st grade reading level and 2nd grade math level (and in 4th!). But there are no "red flags" as far as the school sees and even with Dr documents, she doesn't "qualify" in the schools eyes for 504 or IEP. That sure is a great way to reduce the numbers... and push who knows how many through without the necessary skills to (maybe) eventually graduate. *Sigh* but I keep pushing. Anna, your response says that the article has confused cause effect for students with IEP's. But if you read the article closely you will notice that it is Teri Johnson Chapman, not "the article" that makes the following statement, “The label itself puts them at risk for lower academic rigor, increased rates of suspension, increased rate of dropping out, and lower graduation rates.” Teri is the director of the Office of Special Education in the Michigan Department of Education. When the head of special education in Michigan is saying that special education is the problem, not the solution, you should probably pay attention. Particularly because she is right. The problem is a handful of special education labels. Emotional impairment, learning disabled, and otherwise health impaired are the labels causing most of the problem. These labels, taken together, account for most of the students with an IEP. The problem is, many of the students with these labels aren't really disabled at all but are struggling in school due to a variety of factors like poor parenting, ineffective classroom teachers and the morass of sketchy medical intervention and drugging that accompanies dubious medical diagnosis like "ADD" and "childhood bipolar". Once placed in special education, the expectations and level of academic rigor have a way of evaporating for these students. If your child is struggling, putting them in special education is probably on of the worst things you can do in many school districts. Particularly if your child does not have an obvious, concrete disability like blindness of Down Syndrome. I have been teaching special education in Michigan for the last eight years. I have worked at several different schools, I have worked with every grade level from kindergarten through 12th grade. I have worked at charter schools and traditional public schools. Teri is absolutely right in her description of the problems with special education. They are deeply ingrained and systemic attitudes that permeates the entire K-12 education system. Our current special education system takes students who are struggling a little and changes their lives for the worst, often placing them on a path to prison or a life dependent on welfare. I am considering leaving the field because it so upsetting and discouraging. The medical profession has a phrase they use guide their practice, "first, do no harm.' Special education needs to adopt and adhere to a similar motto. I am the mother in this article and while I agree that once a child is labeled as needing "special education" services they are more likely to fail academically, I believe that this is also on the parents. During his IEP meeting his results were told that he is high 3rd grade level in all subjects (he is currently in 2nd grade). I asked that his work continue to push him academically and thus far it has been. He is challenged. It is written in his IEP. Would the school have done this on their own? Probably not. Just an FYI. Brandon - You absolutely have a point, but you seem to have missed one of mine. I agree with you. The "soft bigotry of low expectations" for special education students is STILL rampant throughout most school districts, in spite of many people's good intentions and the law in the state of Michigan, which explicitly states that students with disabilities are to be educated "to their maximum potential". The major reason for this, in my informed opinion, is a combination of poor teacher training re. special education and insufficient resources for either general or special education teachers to actually intervene with sufficient intensity. As I said above " most school staff, including the special education teachers and school social workers, have no clue of how to remediate student weaknesses in social skills, emotional regulation, executive function, handwriting, writing-as-communication, or mathematics". I won't even discuss the way that school social workers utterly fail as either therapists or teachers in almost every intervention. In every one of my experiences, when social workers provided "services" to any of my 3 kids, they caused more harm than good. I once had to remove my kid from a school because the teacher, when I pointed out that she was not providing my son with the required accommodations in his IEP and had made no provisions for him (or any of the other special needs kids in that class) to make up the classwork missed when "pulled out" for speech therapy, social work or "resource room", offered to "just give him an A, if that's what you want". She later repeated this remark to the principal, who did nothing about it and refused my request that my son be transferred to a different teacher. So my kids left that school and were home-schooled the rest of the year. In a different incident with a different child, the head of the Special Education department at the high school wasted nearly 2 hours of the whole IEP teams' time trying to convince me that my son, the one who took the SAT as a 7th grader and scored in the top 5% of ALL students in Michigan that year, didn't need to take Algebra II or Pre-Calculus in order to graduate and shouldn't expect to pass them because he was a "special ed" student. And really, the teachers of those college-prep classes just didn't "do" accommodations at that school, because it would be unfair to the other students who could do the work. He himself (the SpEd Chair) had a PhD, and had *never* needed to use trigonometry *or* calculus. Both my son (who was at the meeting) and I, were furious, but refrained from the most obvious remark about "How nice for you that you've learned to live cheerfully with your limitations." That son ended up taking almost all his academic classes on-line through Michigan Virtual High School, because the on-line format automatically provided about 95% of the accommodations he needed. He did very well in the classes, and improved his SAT score to the top 1% of Michigan students when he took the test again as a HS junior. I agree that there are plenty of ways in which a Special Education label can be used to the detriment of the student. If the parents are not both knowledgeable about good practice and deeply involved in their kids' education, this is the most likely outcome. Parents, teachers, principals, teacher educators, state officials and legislators can all be faulted for this situation, and all of them need to step up their game if Special Education is to do more good than harm to those it is intended to serve. This article irritates me as a pediatrician and perplexes me as a school board member. I meet many families that feel their students are not getting enough attention and intervention from schools. A teacher is suppose to tailor teaching for 25-35 students ? I can't see how it can happen nor that we should expect teachers to do more with current class sizes. I reflect on our children's education, yes we wanted more from the teachers (and from our children) that happened at home. It took a lot of work on my end. I hear stories of children spending the day with some resources and then expected to be mainstreamed for the rest of the classes. If they have a reading disability or are "simply behind" they won't be able to understand what is happening in social science or other ELA heavy subject (or even math with the Common Core). Families say the kids come home exhausted from intensive interventions and school work, very little exercise and time to stimulate other aspects of the brain then they have to work with the very burnt out kids to get the homework done, 1-3 hours of delays, distraction and meltdowns. These statistics about graduation and delays are real but, mainstreaming more kids without a ROBUST new approach and deep support; the numbers may get worse instead of better. I Am a parent in Wayne County, and my daughter Needs an IEP, & does in fact have one. She also attends a center based program, & this program, absolutley has hindered her. We have never received outside services, supports, respite, etc, always told, income is too high. Never made any sense to me. We asked every school worker, social workwr, state worker we knew of (in the county we live of course) & guess what, every single one of them are clueless. I finally figured some of it out, & they exists, however State workers working in WAYNE COUNTY, obviously are clueless about them So now, years later, my child is even more behind then she should be. I addressed this in Lansing last week. Hopefully, something postitive comes out of it, when i had to basically put her on display for the political figures to observe & wrap their heads around our life. So - the big question that must be asked is - Does a child who is identified as needing an IEP or 504 have lower outcomes because they are in the special ed system OR is special education in the state of Michigan subpar?? After living in Wisconsin in the top school district in the state I see vast differences in how special education is implemented. For instance, in Livingston county, the special ed director for an individual school district is employed by Livingston Educational Service Agency (LESA). School districts are in effect handing over their authority and ownership of special ed to LESA. In reverse, because the special ed director isn't a true "administrator" for the district, do they have the power to make effective change? As in moving special education segregated classrooms around and having more offerings at each school? If the special ed director is employed by LESA and not the school district can they require professional development for ALL staff to include RTI and differentiation? That being said, there is a wealth of information and research showing the outcomes for individuals who have been fully included (80% of the day or more) in general ed as to those who have been segregated. Research actually shows that segregation has harmful effects on the student and the outcome.